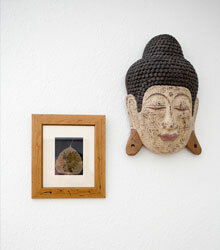 Traditional Thai Massage involves stretching of the body and deep focus into the muscles. 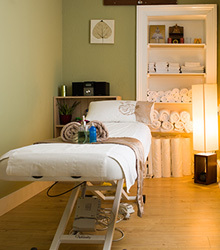 Usually, the client lies on a traditional mat on the floor and wears comfortable and loose clothing – to allow free movement – and, traditionally, no oils are used but tiger balm is offered to help soothe areas of built up tension. 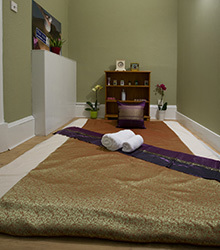 Traditional Thai massage is like aided yoga, where the practitioner guides the client into various poses to help stretch limbs which not only reduces pain but helps increase flexibility, helping to reduce pain in future. 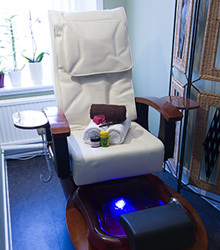 The session also includes some reflexology, adding even more benefits. Please remember to bring a change of comfortable clothing (eg. cotton t-shirt and leggings) as this allows fluid movements, enabling a more enjoyable experience. Gift Vouchers are available to purchase in-store.